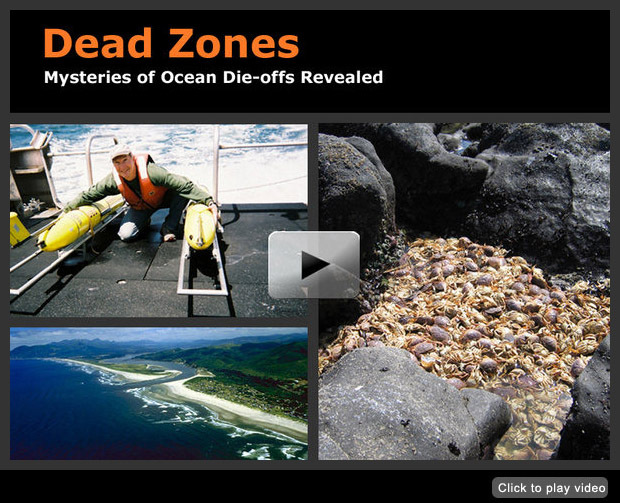 New, massive "dead zones" are regularly invading the Pacific Northwest’s near-shore waters. New Ways of Taking the Pulse of Oregon’s "Dead Zones"
Underwater robotic gliders are helping scientists understand why massive oceanic expanses are losing virtually all of their marine life every summer. Science Nation: Undersea Gliders May Help Oceanographers Understand "Dead Zones"